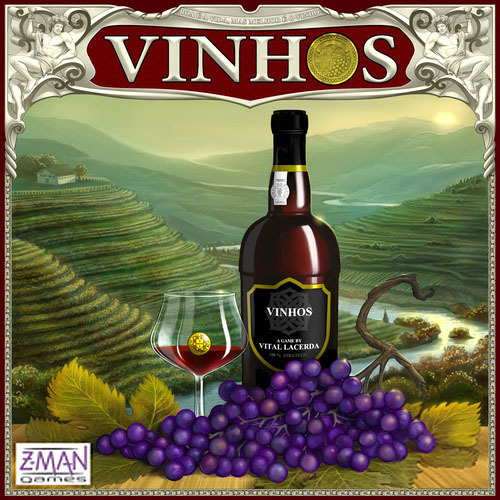 In Vinhos (a Portuguese word meaning Wines) you will play the role of wine producers in Portugal. Over a period of 6 years, you will expand your business by establishing Estates in the different regions of Portugal, buying vineyards and building wineries. Skilled enologists will help you increase the quality of your wine, while top Wine Experts will enhance it's features at the "Feira Nacional do Vinho Portugus", the Wine Tasting Fair. Selling your wines to Portuguese local hangouts, will establish a market presence for your company and will help you secure the funds to expand your company, and to pay your enologists salaries.